The Society of Actuaries (SOA) just dropped a bombshell at its recent Living to 100 Symposium. Its research shows that Americans are now expected to have shorter lives than citizens of other developed countries. And as if that isn’t bad enough, here’s the clincher. 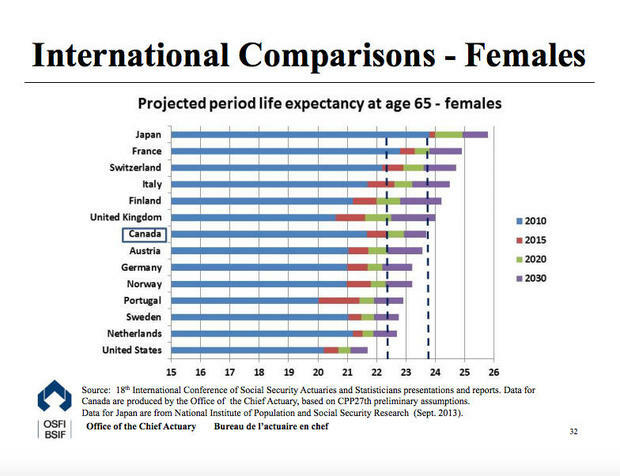 American women are in last place of all 14 countries measured (men are second to last). Large income disparities in the U.S. The Takeaway: This should give all Americans plenty to think about. Having a good health care system and robust safety net impacts everyone’s quality of life and leads to longer life expectancies. Based on the health of its citizens, the U.S. seems to be slipping behind.